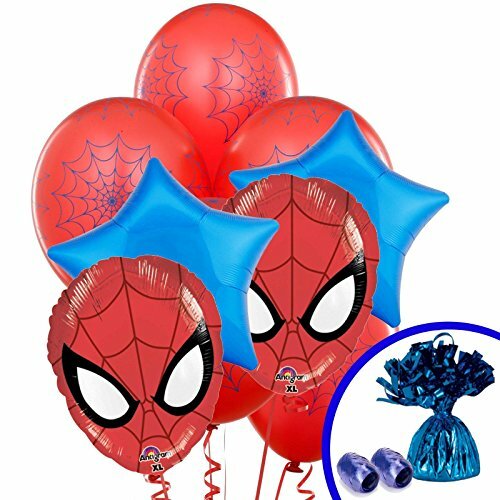 Are you looking for Spiderman Party Decorations? 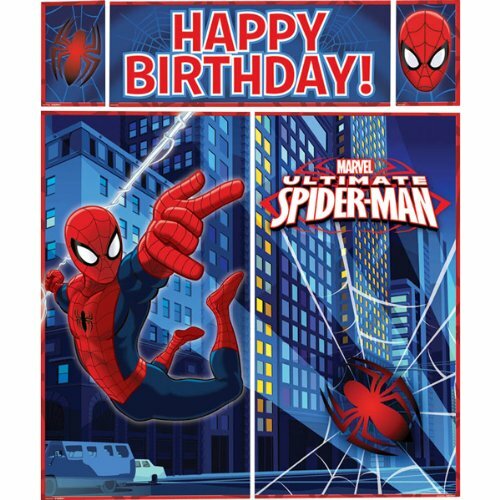 You’ll find some of the BEST Spiderman Party Decorations for your Spiderman themed birthday party. When it comes to kids Spiderman birthday parties, it’s all about setting the scene and Spiderman Party Decorations is a good place to start. 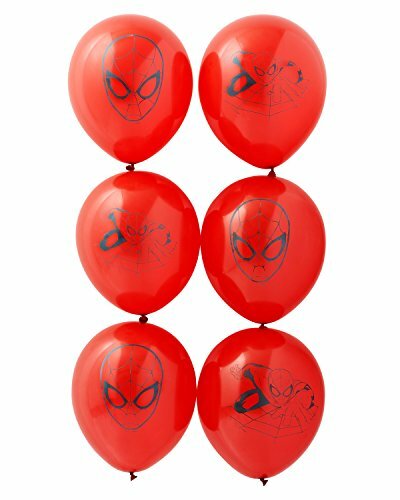 One of our favorite things to do when we first start planning a Spiderman party is to buy some carefully chosen Spiderman decorations. These would be your basic Spiderman Decorations (cups, plates, straws, Spiderman costume, balloons). This will help set the stage, then we set out a plan for what we can possibly make on our own to add the atmosphere. Besides anything you can make on your own like (DIY Spiderman Party Decorations, spiderman cake and snacks) will help with your budget. Making a lot of your own decorations can be a really fun activity to do with the whole family. But be sure to start this a few months in advance and allow for extra time. However, if you’re like most families you don’t have a whole lot of time to spend making decorations, so purchasing store bought items might be a better solution. 1.3 What’s a Spiderman Party without Balloons and Confetti? So what do you need when it comes to buying Spiderman party supplies. You’ll want to pick up the essentials like plates, cups, napkins, balloons, candles, and more. But you might want to add to the Spiderman fun with a Spiderman piñata, banners, Spiderman confetti, backdrops and tabletop decorations. 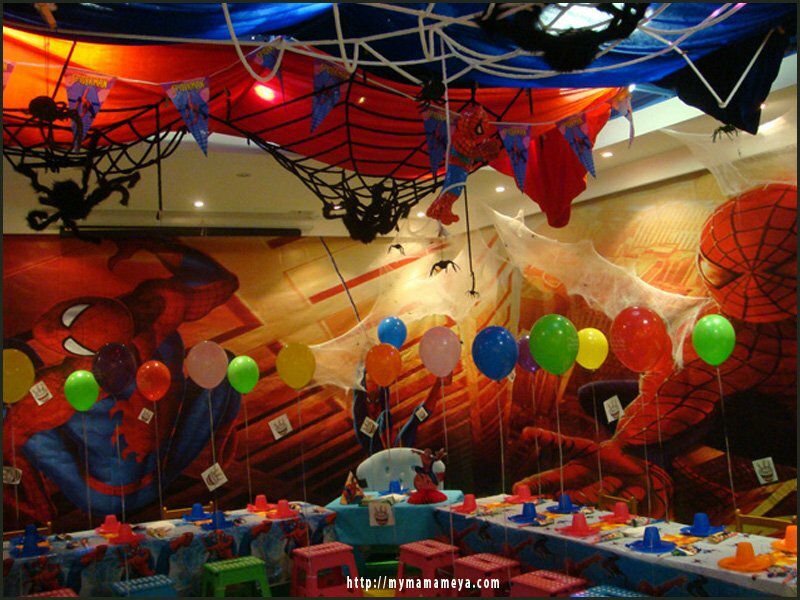 Using a backdrop for your Spiderman Birthday Party is a great way to set the scene. I like to start with the backdrop first when I’m decorating because it takes any room and makes that specific Spiderman party theme come to life. 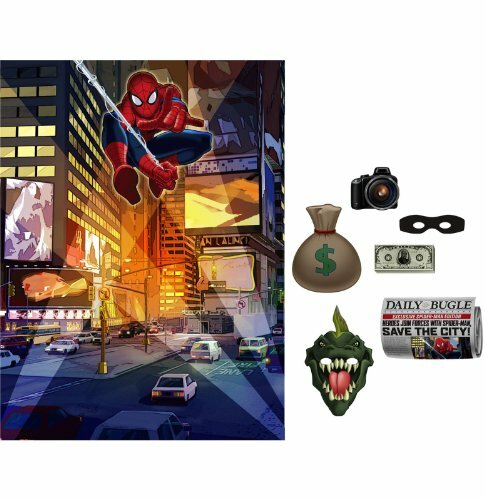 Below you’ll find a few backdrops that I think would be ideal for your Spiderman party. The backdrops that I’m showing below are relatively cheap but if you are on a tight budget you could always easily make up your own backdrop using an old sheet or brown or white butcher paper or craft paper and draw a cityscape to use for your backdrop. In a future post I’ll be showing you how easy it is to make your own DIY backdrops but for now let’s take a look at what is available. 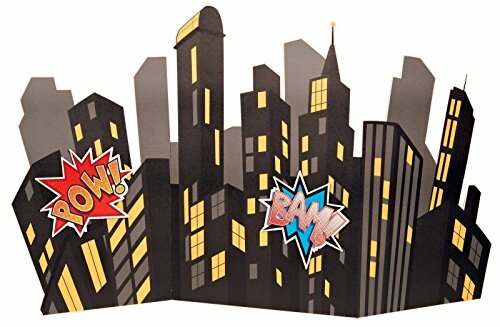 This Cityscape Party Backdrop is ideal for an super hero party. The backdrop design as you can see features high-rise building with window that are lit up and it’s all set up against a evening sky. 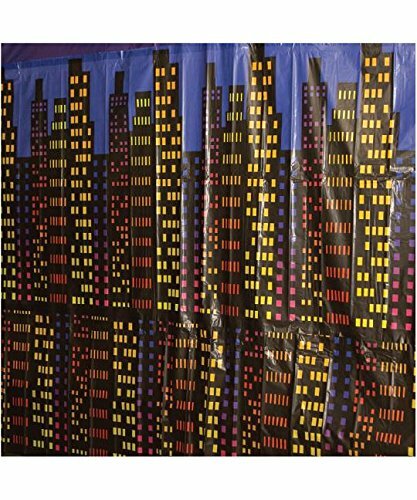 Since the the Cityscape backdrop roll measures 4 feet high by 30 feet long you might want to consider adding adding a Starry Night Backdrop above since the rolls come up a bit short but if you pair both the starry night and the cityscape you’ll have the perfect backdrop for your Spiderman party. If you are wondering the backdrop is made of a very thin plastic somewhat like a plastic table cloth. This backdrop is huge and could probably cover an entire room. For the price this is a really good deal. All that’s needed is to attach it to either an indoor wall or an outdoor wall is some sort of adhesive and you also might need a scissors if there is any trimming needed. Put this up and you will instantly feel transformation. Once your Spiderman party is over just take the backdrop down and fold it so that you can reuse it for your next super hero party. 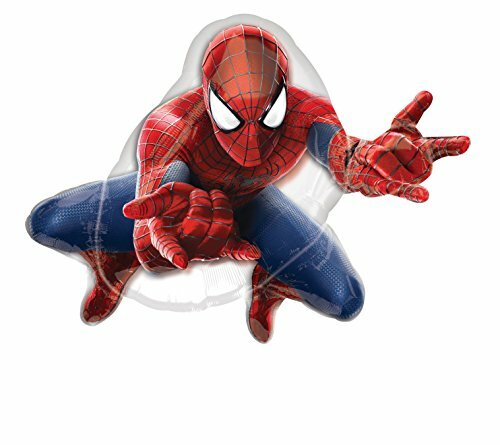 Here are a few more Spiderman backdrops I thought would work pretty good and the price is really reasonable. If you’re looking for a backdrop that doesn’t cover all the walls this one is fantastic. It gives you a 3D feel and look. This is a sturdy cardboard superhero backdrop that measures 72 inches wide by 41 inches high standup that is easy to assembly. You could use this as a backdrop for a 6ft. table and still have a bit of room on each side. You can also set this backdrop up on the floor and it would quite sturdy. If you are wondering the BAM and POW pieces can be removed and relocated. 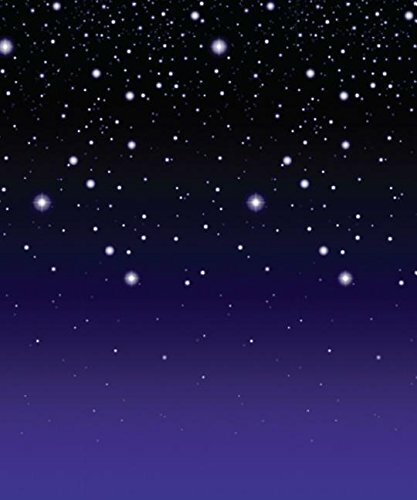 This backdrop would work perfect for a photo shoot backdrop and then after the Spiderman party is all over it can be set up in your child’s room. 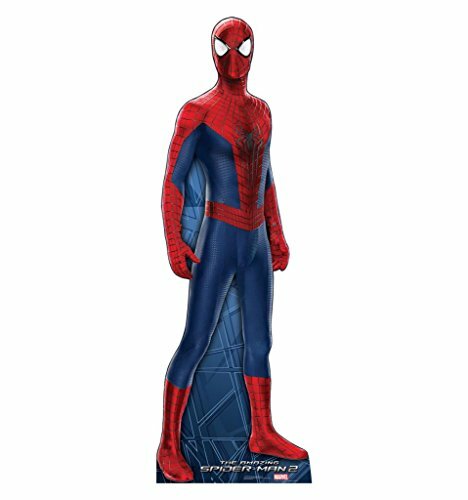 Another Spiderman cardboard prop that I think is pretty cool is the Standup full size Spiderman that measures 72 inches by 24 inches. Once the party is over what little spidy wouldn’t want this cardboard life size sperman in his room. 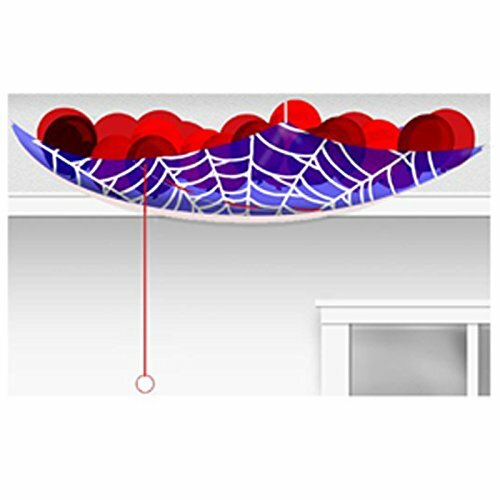 Now all you need to do is add a few spiders and some webbing and you have a perfect scene for your Spiderman Birthday party. If you are looking for a birthday banner that is a little more personalized this one is pretty cool. 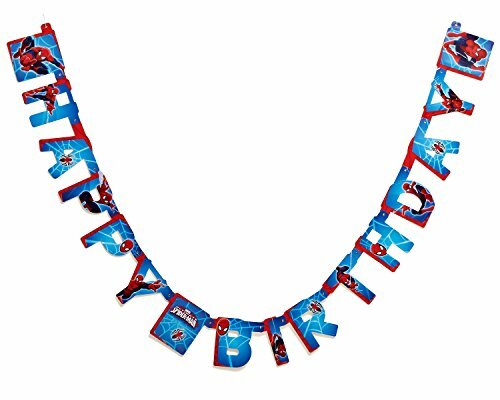 Spiderman Birthday Banner measures 3 ft. by 21 inches. 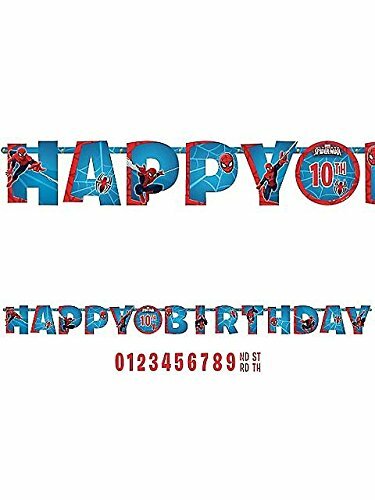 Spider-Man Birthday Party Banner Spiderman Birthday Banner 10 Ft.
What’s a Spiderman Party without Balloons and Confetti? 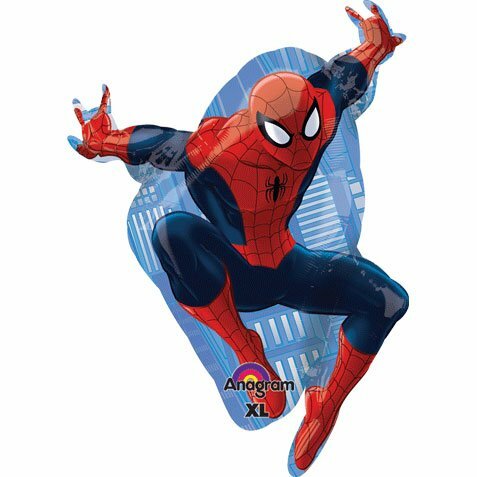 The Spiderman Airwalker measures 36 inches high and is made of mylar and is being on both sides. 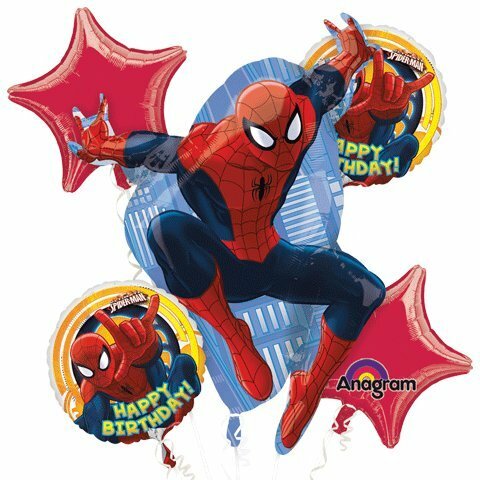 The nice thing about this spiderman balloon can be filled with air, no need for helium just blow it up like a normal balloon. This would be great to hang up from the ceiling. Spidey hanging from the ceiling will definately be the hit of the party. Well this is a great start to our Spiderman Party Decorations, in the near future we will be posting some more ideas for Spiderman table decorations, Spiderman centerpieces, Spiderman cake ideas, and a whole load of DIY Spiderman decorating ideas. So keep checking back to see what’s new for Spiderman Party Decorations. There are times when you can get a way better deal if you bundle up your birthday party supplies. 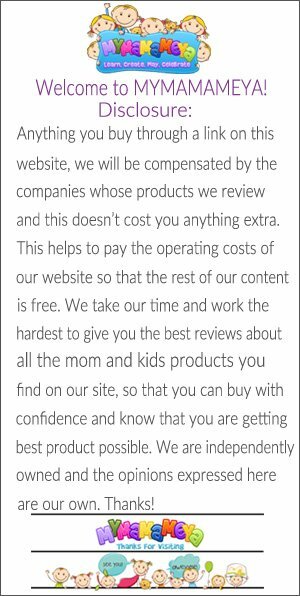 Now who doesn’t want a deal? If you are planning a Spiderman birthday party for your child you might be interested in printing out FREE Kids Birthday Party Checklist! 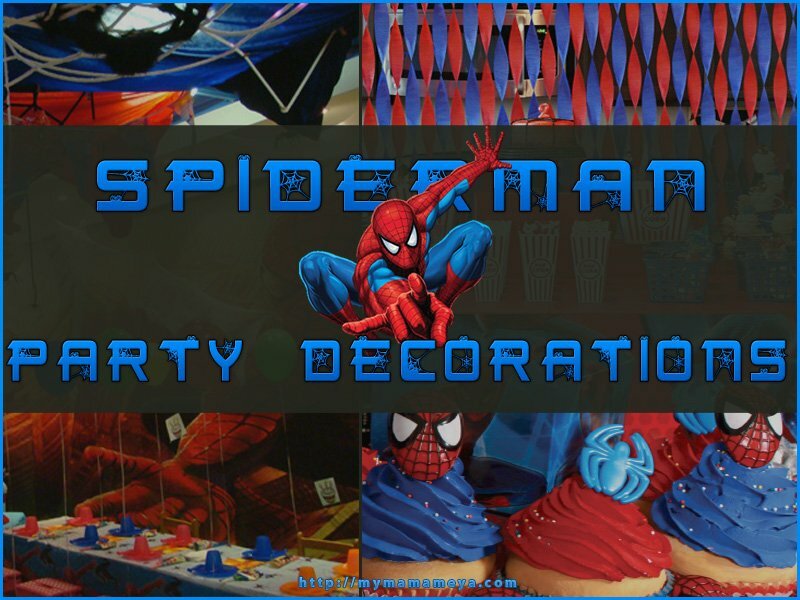 Your little Spiderman Party guests will be absolutely jumping with excitement when they see what an awesome job you managed to pull off decorating your little guy’s Spiderman Birthday Party with all the super special Spiderman Party Decorations you put together.